It was a Saturday afternoon and I texted my friend who'd be arriving in a couple hours for our families to eat together and connect. 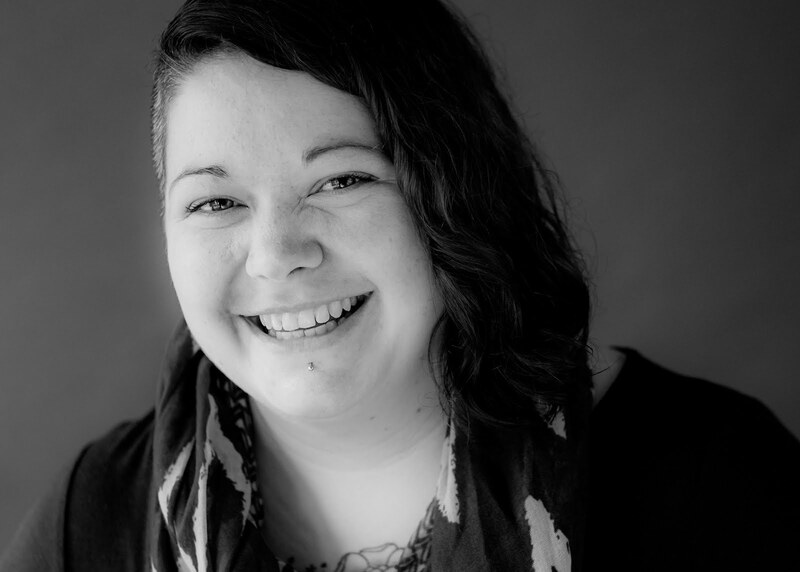 "I'm coming to terms with the fact that my house won't be clean in time." I'd been running around all day trying to prepare for the perfect dinner, baking and cleaning and obsessing over things that didn't matter. I love this family that was visiting, I wanted it to be special. She texted back with "Can we just choose not to do this? Not worry about the societal expectations? Not try to entertain or impress one another? Can we just be us?" My friend's text was an invitation to freedom. An invitation to lay down all my striving and expectations, all my doubts about myself and my home and the meal. An invitation to be, and to be accepted. I accepted the invitation. The seasonal coats were half sorted in one corner of the dining room and there were muddy little hand prints on the bathroom door. There were signs of life, messy, chaotic, often in-over-our-heads life, all over the house. And you know what? It was fine. We drank good coffee and laughed and let the kids paint birdhouses with glitter paint at the kitchen table. It was better than fine. It was a sacred space. Friends, this matters. Whether or not we open the door when the counters are messy and the floors are unswept and dinner is from a box, it matters. Because it is the times that we need people the most that we feel most inadequate. It is when we most need to sit raw and exposed that we feel as if we have the most to hide. It is when we feel most overwhelmed by the mess that our hearts most need us to swing open the doors and invite others in. Because the mess, inside and out, can isolate us. It can make us feel alone and unknown. Or it can draw us together into a sacred community of messy, broken people who need each other. We need each other whether there are crumbs on the floor or not. 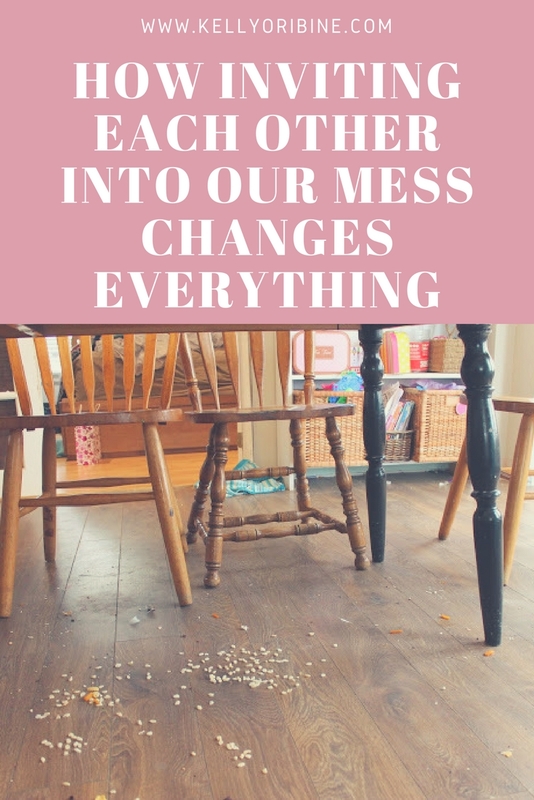 What if our messy house sends a much needed message that imperfection is welcome here? What if those cheerios on the floor and the legos under the sofa says "I need this relationship more than I need to have it all together." What if opening the door to our mess and chaos is the first step of inviting people into our truth and our journey? I need this reminder often. I forget, again and again, that all grand and beautiful things are created in mess and chaos. That we ourselves are made from dirt. That authentic community begins where our need to impress ends. Friends, can we just choose not to do this? Not worry about the societal expectations? Not try to entertain or impress? Can we invite one another to just be, and to be accepted? Because if we do, I am certain, we will find a sacred space amid the messiness. Cheerios on the floor and all. I think you describe the mess in one very beautiful style. The internal order and respect each other is more important than the societal expectations. Thank you for sharing. Kelly, Hi. I have a blog called Woman to woman: journeying together in Faith and Mission. www.sterlingoneill.com was wondering if I could repost your delightful blog on my website. My Email is ezer50@gmail.com. Could not have said it better myself. Love it. This is a beautifully presented challenge. I'm the one who always offers to "bring anything" if someone else will host. You have gently inspired me to be more vulnerable. I'm crying, but I'm thankful. Blessings! Thank you for this post. I happened upon your blog in search of a good Playlist of worship music to help combat depression. You have a great list of songs to use as tools for depression but this post is even more what I needed to hear today than a song. I isolate myself at times, the times I most need friends, because I just can't seem to stay on top of the mess. 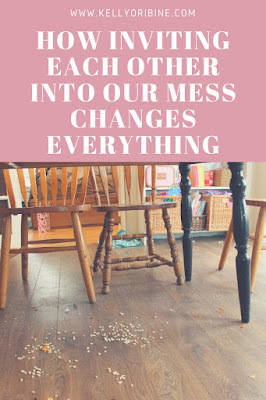 I've never thought of the ways that my mess could extend grace to others. Thank you.